An episode about a missing postage stamp? Thou shittest. Indeed not. That is exactly what The Avengers are up to in the seventh episode of series two, a bizarre story that starts off in the genteel world of philately and ends up at a meeting of neo-Nazis, by way of a gun-running operation. But if that is really what it was all about all along – Nazis and guns – why didn’t Steed tell Mrs Gale that right at the outset, instead of making out it’s all about a missing and very rare stamp? It’s all very baffling but also pretty charming, an episode steeped in class distinction right from the off, as a stamp dealer is killed by a grunty oik while on the phone to stamp fiend Lord Matterley. Enter John Steed, making value judgments about wine and women (the sexism of these early episodes is quite breathtaking at times), coolly asserting his superiority as the murder trail leads him from the auction house to a villain who went to the same school as Steed, and was even in the same house. There are fights along the way and they are terribly staged – at one point Steed is rendered unconscious after a policeman touches him on the back of the head with a featherlight truncheon, and later Cathy gets to demonstrate some karate, not entirely convincingly. 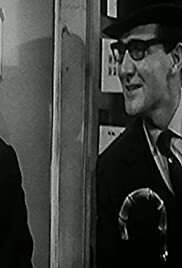 The intriguing thing about this episode, written by solid TV hands Malcolm Hulke and Terrance Dicks, is its lack of good guys – Steed and Gale apart, there’s barely a clean nose in it – and the way the class system out in the world of stamp auctions, from brown-coated warehousemen up to fastidious collecting gents, is reflected in the criminal world too. Talking of which, good to see Alfred Burke as an oily-rag villain, other baddies’ names being withheld for reasons of not wishing to spoil the plot. 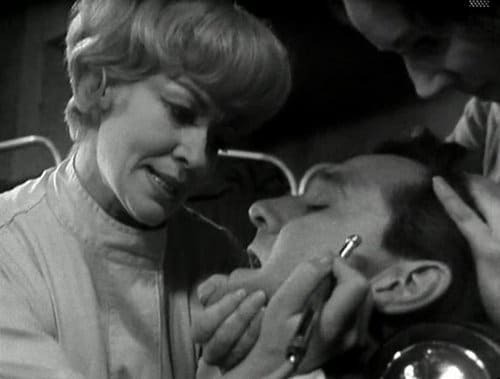 Other nice touches include Cathy Gale’s clothes, which seem to be getting more expensive as the series goes on, and Steed getting into a spot of bother in a scene that seems to foreshadow The Marathon Man’s gruesome dentistry. All in all, a fast episode, too fast really, that packs in a lot of plot into very little space. As for the nostalgia factor, Burke aside, and not forgetting the distinguished Richard Vernon as Lord Matterley, how about neo-Nazis as a laughable sideshow rather than a clear and present danger?